It’s important to have a heart for pastoral ministry, this being pretty much a no brainer. But I have a question for us: Is our heart captivated by the Lord’s work most of all or for the Lord Himself most of all? I’ve been retired from pastoral ministry for almost two years. From my current perspective I can see that, at least at times, my greatest love was for the Lord’s work and not for the Lord Himself. The difference is crucial! We can be passionate in our preaching, but is this passion in the preaching about Christ or in the Christ for whom we preach? It’s easy to confuse the two passions. We can love unpacking the Word, but do we love The WORD who became flesh even more? 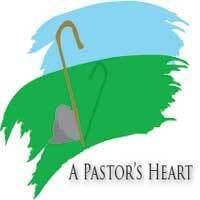 We can love shepherding the Lord’s flock, but do we love the Good Shepherd greater still? We can love goal setting, but do we love looking to the Author and Finisher of our faith more yet? We can love organizing, but do we have even a greater love for the One in whom “all things hold together?” We do well to remember Jesus’ words to the church at Ephesus and make application to ourselves. “You have persevered and have endured hardships for my name, and have not grown weary. Yet I hold this against you: You have forsaken the love you had at first.” (Revelation 2:3-4) Yes, we too can persevere and endure in our work, but is that heart we pour into ministry overflowing with an even greater love for Christ? My two years into retirement from pastoral ministry have been something like a time of fasting (actually, an ongoing fast). In fasting from food, or anything else, you come to realize how dependent you have been on that from which you’re fasting. Fasting also should prompt the heart to grow fonder for God. This is what I sense has been happening in my own life since retiring from pastoral ministry. I’ve realized in a fresh way my tendency to let the love of the pastoral work distract me from a deepening of my love relationship to the Lord. God tells us we are to have no other gods before Him, and that includes making our pastoral ministry a god. Our very best objective should be to have our love for the Lord grow greater and greater, ever outpacing our love for doing His work!